The Michigan garbage truck accident lawyers at our firm represent garbage truck accident victims in claims for serious injuries. Most car-garbage truck collisions are not accidents at all. They are preventable tragedies that typically result from the negligence of the garbage truck driver. Nowadays, most garbage trucks are owned by private companies who contract with cities to provide sanitation services. As a result, those large companies can be held accountable for the driving accidents of their employees. What Should I Know About Michigan Garbage Truck Accidents? 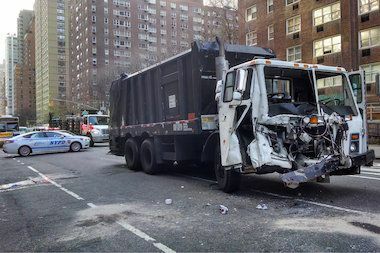 During a recent study it was showed that on average, garbage trucks kill more pedestrians and cyclist per 100 million miles driven than any other vehicle on the road. Garbage trucks do not travel too many miles, spending the majority of time in neighborhoods — so the risk ratio is increased. Although certain provisions of the vehicle code do not apply to rubbish and garbage vehicles, they are not relieved of the duty to drive with care. For example, garbage trucks are allowed to drive on the opposite side of the road, but only if the front and rear turn signal lamps at each side are being flashed simultaneously. Because the truck driver often blames the injured person for the accident, it is important to hire an attorney immediately so that an investigation of the case can be started. What Can Happen in the Aftermath of a Michigan Garbage Truck Accident? People injured in garbage truck accidents suffer significant injuries. Injuries often include brain injuries, spinal cord injuries, back injuries, neck injuries, and bone fracture injuries. People injured in Michigan garbage truck accidents often have claims for their personal injuries. Accident victims can also be compensated for pain and suffering, disability, and other money damages. Families of people who are killed in garbage truck accidents can often file a Michigan Wrongful Death Claim. Who is the Best Michigan Garbage Truck Lawyer? The truck accident attorneys at Buckfire & Buckfire, P.C. understand issues relating to garbage truck accidents. This allows us to get the best settlements for our clients. It is important to have an attorney not afraid to fight for you when you have dealt with any garbage truck accident. It is important to choose a Michigan truck accident lawyer as soon as possible after your accident. This will guarantee that your claims are properly submitted in a timely manner. It will also assist the attorney in performing a prompt investigation of the accident so that witnesses can be located and interviewed, photographs can be taken, and the vehicle can be preserved for an inspection. A delay in hiring a lawyer can affect the ability to prove and win your case. 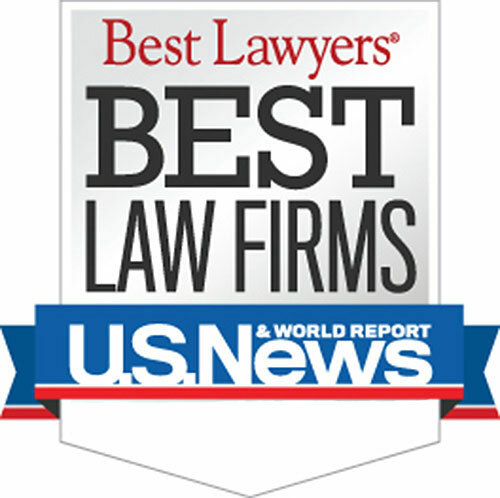 Call our top rated law firm today at (800) 606-1717 to speak with one of our Michigan truck accident attorneys about your case. We will represent you under our No Win, No Fee Promise which means no legal fees or costs until we win or settle your case. We pay all of the case costs and expenses!